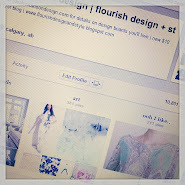 flourish design + style: oh Anthro.. 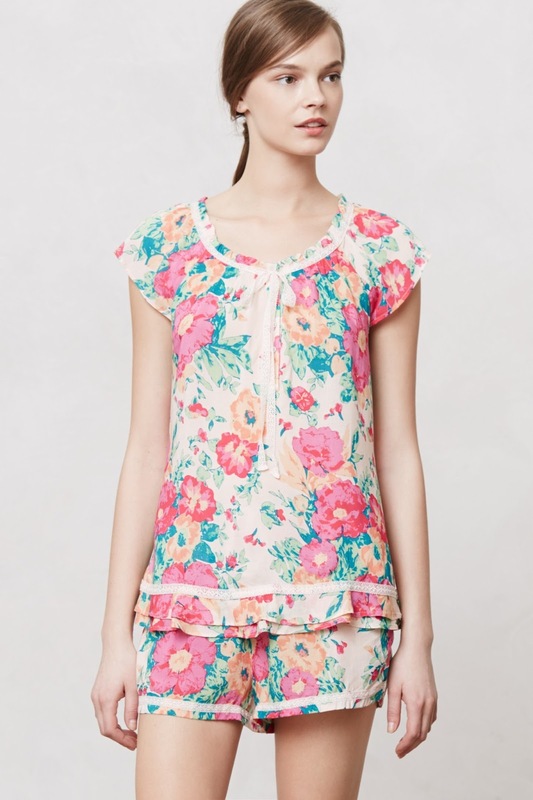 I picked up these sweet lounge shorts the other day when I had to do an exchange at Anthropologie. They are absolutely adorable and perfectly comfortable for summer evening lounge wear. They're feminine and kind of sweet :) I've been wearing them with a simple tank and a cashmere sweater that I can wrap around myself.. cozy is my most favorite thing..
while there I stopped dead in front of this dress.. I love it. Love it. And I don't wear dresses so this is sort of a big deal. But of course.. I have absolutely no where to wear it! Darn cute though isn't it?! 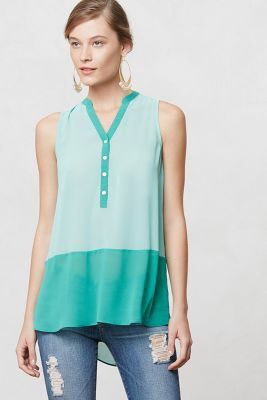 Before our holiday I picked up this top to wear with my Juicy leaf shorts.. the combo was pretty awesome! Wow.. they don't look like they match at all ha ha, but I swear they do! Calgary's Stampede has just coming to an end.. but I'm thinking this top with some denim shorts + boots for next year would be adorable! Be sure to have a quick stop over at THRIFTED! I just marked down three posts of items! !